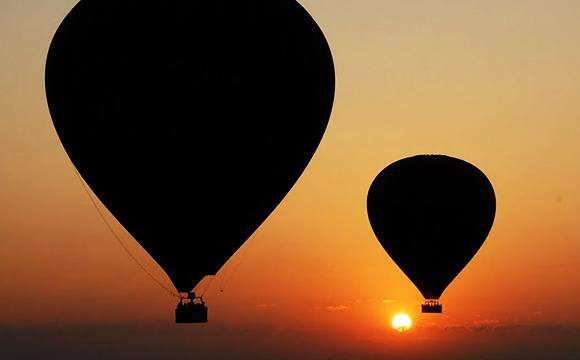 Our destination experts’ share their list of the top ten things to do in Myanmar. Glittering temples, fairy tale landscapes and warm, welcoming people – discover the treasures of Myanmar. 1. On a Bagan balloon trip – the highlight of every Myanmar tour – you can experience the royal city with its numerous temples from a very special bird’s eye perspective. The majestic pagoda ruins extend over 36 km and are a UNESCO World Heritage site. 2. In the mystical Kaw Goon Cave in Hpa An, there are over 1,000 Buddha statues. 3. Head to the Thanboddhay Paya Pagoda at Monywa, which houses an incredible 600,000 Buddhist temples. The complex is a place of true superlatives: hundreds of stupas and millions of statues and sacred images are waiting to be discovered by you. 4. The imposing Goteik Viaduct near Pyin Oo Lwin was completed in 1900 and was once the largest railway viaduct in the world. Almost 800 meters long and more than 100 meters high, the building still traces the Gokteik Gorge. 5. 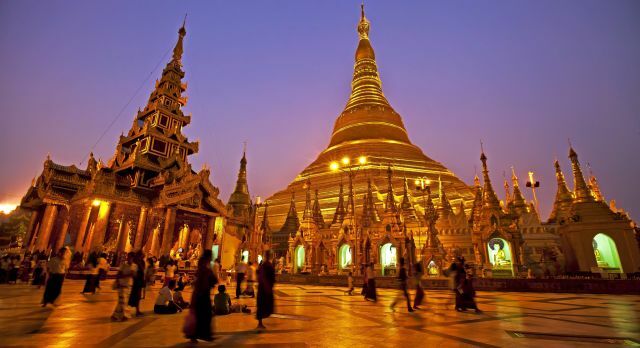 The gold-shining Shwedagon Pagoda in Yangon is one of the most famous stupas in the world and a landmark of Myanmar. This legendary, imposing structure surpasses all the buildings of the city and is over 2,500 years old. 6. Enjoy peace and relaxation at the fantastic Ngwe Saung Beach. Located on the western coast of Myanmar, this beach has only become a popular destination in recent years, which is why you will find unspoiled nature here. 7. Meet the ghosts of Myanmar on Mount Popa. At almost 800 meters, the sacred beings are at home according to local traditions. The extinct volcano offers not only spiritual encounters, but also an overwhelming view of the surrounding flatland. 8. 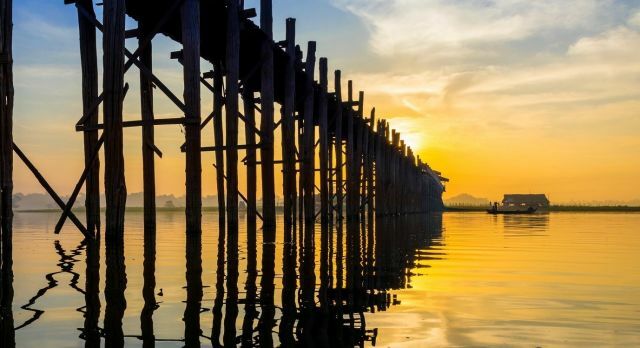 The numerous monasteries of Mawlamyine make this coastal town one of the most important spiritual centers of Myanmar. The Yele Paya Buddhist Temple has a breathtaking view of the ocean. 9. The cultural center of Myanmar is Mandalay. The city lies on the banks of the Ayeyarwady River and houses golden-shaded pagodas, temples and lively markets. The most beautiful view of Mandalay is from the Kaunghmudaw Pagoda. 10. Walk up the forest-covered mountains and experience one of the landmarks of Myanmar! In the midst of a picturesque mountain range, the famous sacred rock Kyaiktiyo glimmers in a thousand gold tones. Do not want to discover the highlights of Myanmar for yourself? 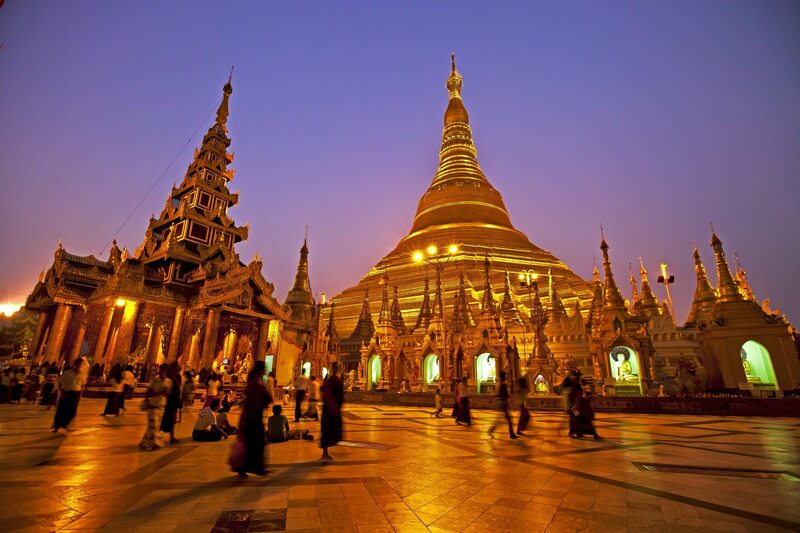 Our Asia Travel Specialists will find the perfect travel route for your Myanmar tour!